Ghee can be defined as clarified butter that originated in India and is commonly used in cuisine, traditional medicine and religious rituals. For many years, ghee has been a staple in Indian cuisine. Ayurvedic defines ghee as a best alternative for cooking oils, mending both personality and body. 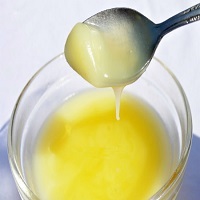 Ghee is prepared with raw milk, which is boiled and later cooled to 43°C which also includes curd (Indian Yogurt). Adulteration of ghee comprise of mixtures of animal fat, crushed animal bones, palm oil, essence and hazardous chemicals.